According to the American Academy of Periodontology, over 200,000 people that were conducted on, that poor oral hygiene is linked to hypertension. According to some Korean researchers, hypertension is connected to inflammation and blood pressure elevation. Poor oral health may independently cause hypertension and good periodontal health can either control it or prevent it entirely. Frequent tooth brushing has been proven to decrease the prevalence of hypertension. According to the American heart association, millions of Americans have been diagnosed with heart disease also known as ‘the silent killer’ which may lead to diseases such as stroke, damage to the arteries in the heart and kidney disease. taking care of the Gums are just as essential to healthy living as exercising and diet.it has been recommended that patients with hypertension, diabetes, and other chronic diseases should floss and brush daily too and also go for periodontal evaluations for the prevention of the disease holds the American Academy of Periodontology. The importance of oral health is great in keeping the blood pressure under control and the adverse cardiovascular disease that stems from untreated hypertension. Periodontal disease is a condition marked by gum inflammation, gum damage and tooth damage which consequently distorts blood pressure and interferes with treatment of hypertension. 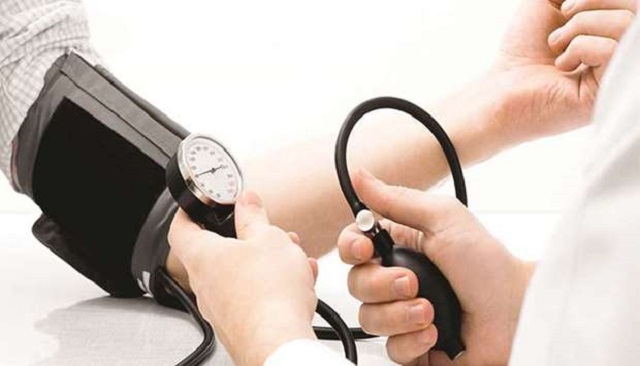 Physicians are advised to look into the oral health of patients suffering from hypertension, diabetes, delay in pregnancy, a respiratory disease so that the treatments can be better appreciated without a relapse. Hypertension is known to affect 40 percent of people over 25 years of age and it is known to have claimed 7.5 million lives worldwide. People with periodontal disease are 20 percent less likely reach healthy blood pressure ranges than people with healthy gums. Now imagine if oral health is being taken care of how many lives would have been preserved. Red, swollen and tender gums are signs of inflammation or periodontal disease, so are teeth that look longer than before, it could be signs of receding gums or loose teeth. Systolic pressure, the upper number in a BP reading, shows the pressure of blood against the walls of the arteries.so if you notice any strange numbers see a doctor or a dentist. There’s no mistaking that good oral health is important to the overall health and in this case prevention of hypertension. Don’t forget to brush twice daily, floss, change your toothbrush after two months and also see a Dentist in New Town at least twice a year. You know what they say, Health is wealth!! !